Wat Sila Ngu is on the beach side of the 4169 ring-road ( Kok Samui). 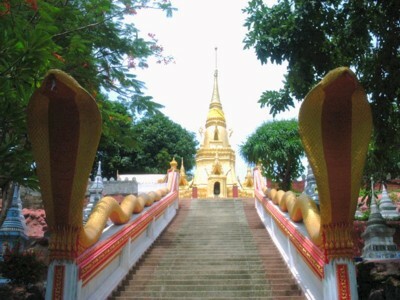 It contains a relic of the Lord Buddha, the golden chedi facing the temple's entrance is a popular place of worship. Many local travelling shows and even visiting TV stars sometimes use the temple grounds here for their performances.